ABC News is calling on the Center for Public Integrity to share its Pulitzer Prize for investigative journalism, awarded to CPI’s Chris Hamby, taking issue with CPI’s Pulitzer submission that depicts ABC News as a minor partner in a year-long coal-mining industry investigation instead of equal partners. HuffPost Network president Ben Sherwood sent a four-page letter to CPI’s executive director Bill Buzenberg affirming that ABC News was CPI’s partner in the investigation. He argued that reporters Brian Ross and Matthew Mosk made “significant contributions” without which CPI would not have won the Pulitzer. He added that while the prizes are only awarded to print organizations, he hoped the Pulitzer committee would recognize Ross and Mosk. Mediaite In the letter, Sherwood said Buzenberg “omitted the names of ABC News reporters and sought to parse and diminish their contributions, even though their bylines appropriately appear on four of the eight articles submitted by the Center to the committee.” Poynter In response, Buzenberg provided a point-by-point rebuttal saying CPI reporter Chris Hamby was the engine behind the story for months before ABC entered the investigation and in long stretches when ABC was working on other things. Politico / Dylan Byers on Media CPI and ABC News have shared recognition for the black lung benefits story in the past. In March, the Harvard Goldsmith Prize for Investigative Reporting was awarded to Chris Hamby, Ronnie Greene, Jim Morris and Chris Zubak-Skees of CPI and Matthew Mosk, Brian Ross and Rhonda Schwartz of ABC News. 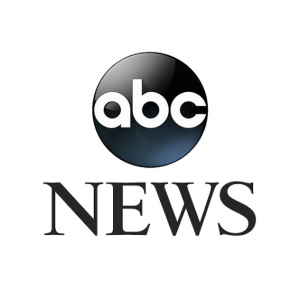 Next month, the White House Correspondents’ Association will honor “The Center for Public Integrity, in partnership with ABC News.” On Wednesday, they received an award from the Society of Professional Journalists. Television news organizations are excluded from the Pulitzer Prizes, which honor newspaper and digital reporting. Fox News has announced plans for a new noon ET show called Outnumbered that will feature a rotating ensemble of four female hosts and one male host. The show will debut April 28. VarietyAs part of the show’s premiere, the daytime program Happening Now, co-anchored by Jon Scott and Jenna Lee, will become two one-hour blocks airing weekdays at 11 a.m. ET and 1 p.m. ET. Previously, Happening Now ran from 11 a.m. to 1 p.m. HuffPost Fox News’ weekend anchor Harris Faulkner and Fox Business Network’s Sandra Smith will be two of the rotating panelists, along with appearances from the Five‘s Kimberly Guilfoyle and Andrea Tantaros. The name,Outnumbered, is likely a nod to the one male host, who will change every day. Deadline Hollywood During each segment, panelists will examine the top news of the hour, and deliberate the leading pop culture and relationship issues dominating the headlines that day. U.S. cable network-owner Discovery Communications Inc. is no longer in the running to acquire the U.K.’s Channel 5, according to a person familiar with the matter, as the auction of the over-the-air broadcaster moves to a final round. Bloomberg Discovery offered about £350 million ($588 million) for the broadcaster owned by Richard Desmond’s Northern & Shell, said the person, who wasn’t authorized to speak publicly and asked not to be identified. The TV station that airs Britain’s Crime Capitals and Celebrity Big Brother may sell for more than £400 million, the person said. Reuters Discovery, which has been aggressively expanding outside of the United States in television, had been in talks with British Sky Broadcasting Group, the satellite pay-TV service controlled by Rupert Murdoch, over a possible joint bid, according to media reports. It was unclear on Wednesday whether BSkyB was still involved in the process. THRDiscovery Communications, led by CEO David Zaslav, was considered a frontrunner in the auction given its strong financial position and other recent acquisitions in Europe, including that of SBS in Scandinavia and a pending deal to take a majority stake in Eurosport International. However, Discovery executives have long emphasized their financial discipline, saying they are only willing to make acquisitions that make financial sense for the company. With the current Channel 5 owner eyeing a price tag of more than $1.1 billion, some industry observers have wondered whether any suitor will end up offering that much and whether the sale could be scrapped.